I have had an adorable purse my mum bought me from Urban Outfitters for over a year now but felt like I needed a change especially as, being at uni, I have collected a lot of store gift cards. My old purse didn’t have enough card slots so I needed a new one and sparked up a conversation with a woman when I saw her purse. She said she got hers from Accessorize so after work I popped into Accessorize in Bath. 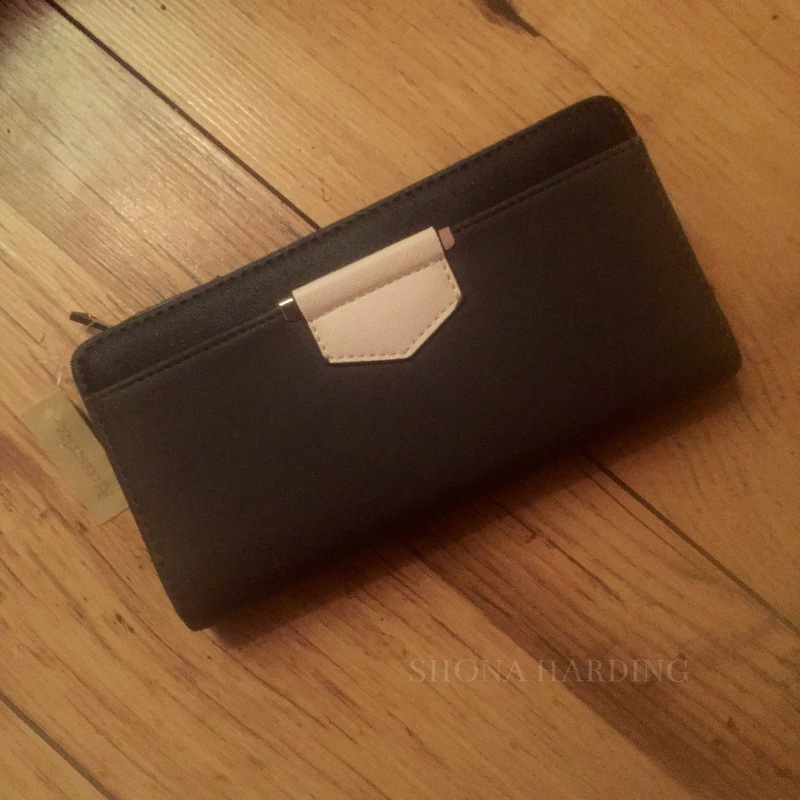 I picked up this purse for £19. I love it because it is quite plain and simple but looks very professional. On the front behind the white shape is a small pocket. There are poppers to open up to the place where you keep notes and cards. 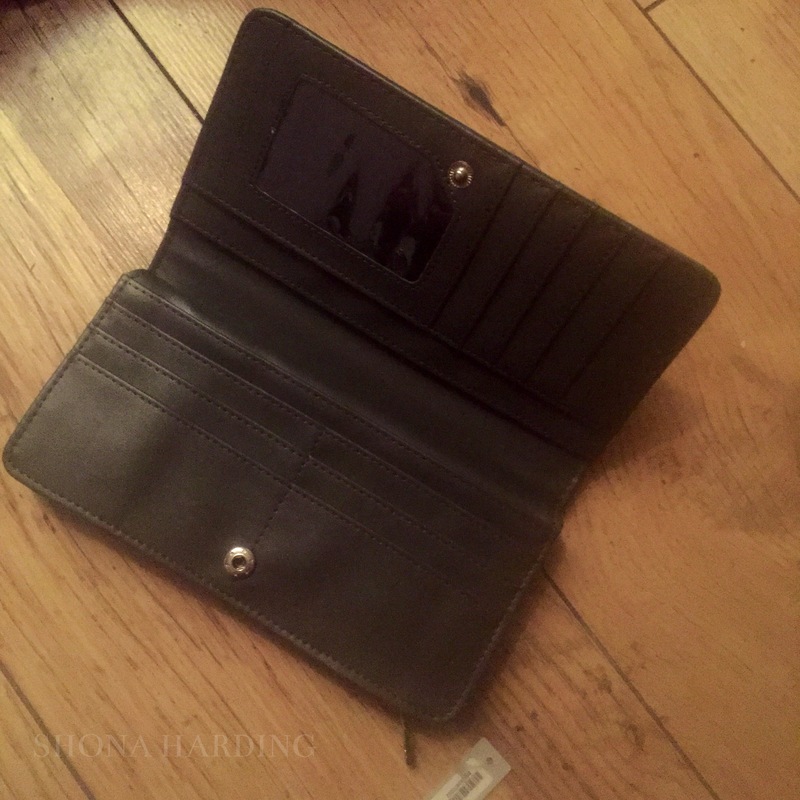 There are about 10 card slots which was a few more than what my old purse has and it has three areas for keeping notes so you can keep them separated and organised. It also has a picture slot which I can imagine most people would use for their ID but I use it to keep a picture of my boyfriend in (soppy – I know). The coin area is kept together by a zip. You unzip this area and there are two sides for coins and a small change purse in the middle. I use the left side for pound coins and 50p’s, the right side for 20 and 10p’s and the middle for anything under ten pence. 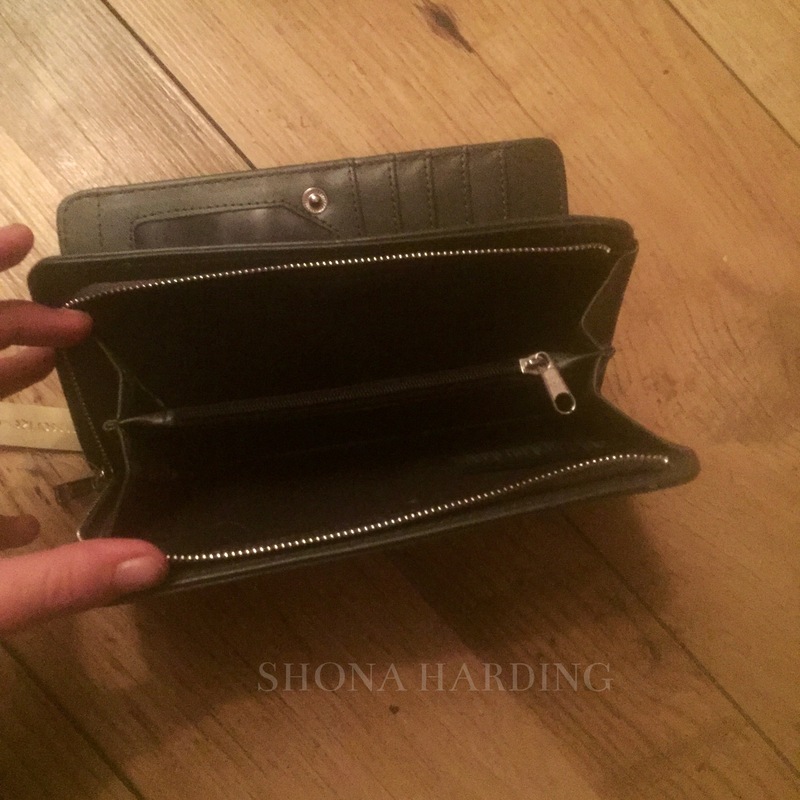 I really like this purse and it seems very durable and keeps everything organised which is also a bonus. I always find Accessorize very reliable with purses and bags.